Last Thursday the Center for Urban & Regional Affairs (CURA) along with The Alliance hosted the event, Actualizing Equity: A Community Gathering. Michael McAfee, President of PolicyLink, kicked off the event as the keynote speaker. Afterwards four panelists discussed most effective strategies pertaining to racial equity work. 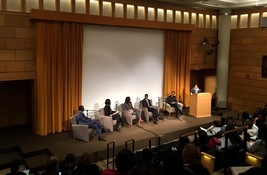 Among the panel were Nelima Siati Munene-Executive Director of African Career Education & Resource Inc., Maria Regan Gonzalez-Richfield City Council member, Will Lumpkins-leader of Northside Greenway Now, and Melvin Carter-Mayor of Saint Paul. McAfee referenced Minnesota's "equity journey" that began in 2011, catalyzed by the release of data reports which revealed some of the worst racial disparities in the nation. It is now 2018, and McAfee raised some important questions. "Have the numbers from 2011 moved at a rate that you're satisfied with? And if not why? And what are you going to do about it?" Policy Link's upcoming 2018 Equity Summit's theme is our power, our future, our nation. This theme is meant to challenge leaders to think about how they generate their power. Once leaders contextualize their power they can use their platforms to challenge systems of inequality.The Minneapolis Promise Zone is committed to actualizing equity in North Minneapolis, and hopes to move past talking about equity and begin the work on equity. The City will be seeking participants to act as the Race and Equity Community Advisory Committee. This committee will advise the City Council, Mayor and City departments on City policies, practices, budget and other matters that it determines to be appropriate, related to addressing racism and racial inequities and promoting racial justice and racial equity in the City enterprise and the city as a whole. It will also advise the Racial Equity Steering Committee on the creation and implementation of the Racial Equity Action Plan and provide an annual evaluation report to the community on the City's progress addressing racial inequities and closing racial disparities. This will be an open appointment process and will be announced soon! 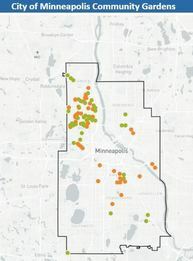 There are three RFQs available for the ReCAST Minneapolis program each with an application deadline of Feb. 9, 2018. ReCAST Minneapolis seeks trainers, artists, and engagement specialists to continue implementing the work laid out for year two of the grant. Trainers will propose new courses based on topics identified in the RFQ for the Capacity Building Institute; artists will propose a project plan to collect oral histories from the residents of North Minneapolis; and engagement specialists will identify specific ways in which to give youth in the community a larger presence in ReCAST Minneapolis. ReCASTMinneapolisInfo@minneapolismn.gov with the name of the RFQ in the subject line of the email by Feb. 9, 2018. Links to the RFQs are listed below. The Minnesota Job Skills Partnership (MJSP) Board is soliciting applications for grant funding for new and incumbent worker training programs. MJSP will accept applications for the Partnership and Pathways Programs. Short Form applications are available for grants of up to $50,000. In addition, applications for Pre-Development grants for the Partnership Program will be considered. The deadline for the submission of regular applications is 4:30 p.m. on Monday, January 29, 2018. Short Form applications must be submitted by 4:30 p.m. on Tuesday, February 20, 2018. No late proposals will be considered. One original plus five copies must be submitted by the deadline for consideration at the MJSP Board meeting to be held on Monday, March 12, 2018. Interested community or market gardeners can submit a garden request form online for each parcel they would like to request. About 40 parcels are currently available. The Minnesota Department of Employment and Economic Development is requesting proposals for the purpose of developing a content strategy for managing communications and correspondence for the Unemployment Insurance Program. Work is anticipated to start after March 1, 2018. Proposals submitted in response to the Request for Proposals in this advertisement must be received submitted through the Minnesota state procurement system no later than February 13, 2018 at 3 p.m. Late proposals will not be considered. Mailed, email, or fax proposals will not be considered. Fri, February 9, 8-9:30 a.m. Wed, February 7, 11:30 a.m. - 12:30 p.m. Wed, February 14, 11:30 a.m. -1 p.m.